The Biltmore Estate is a beautiful, Turn-of-the-Century mansion built in the late 1800s by George Vanderbilt in the mountains of Asheville, North Carolina. With more than 250 rooms and 175,000 square feet, it’s the largest and most beautiful home in America. In many ways, including the upstairs-downstairs culture and the genteel country lifestyle, Biltmore Estate is America’s Downton Abbey. With its vast scale, intricate details, and its mountain setting, there is nothing else like it in America. 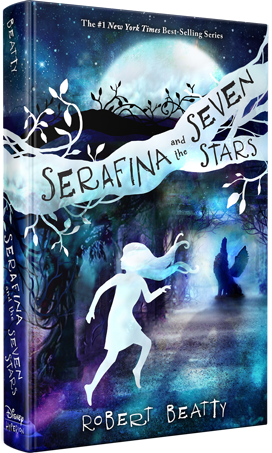 Serafina and the Black Cloak is set in the darkened corridors of Biltmore’s basement, the opulent rooms of its upper floors, and in the surrounding gardens and forests. The region of Asheville, North Carolina is a magical land of rolling mountains, shadowed hollows, and enchanting waterfalls.